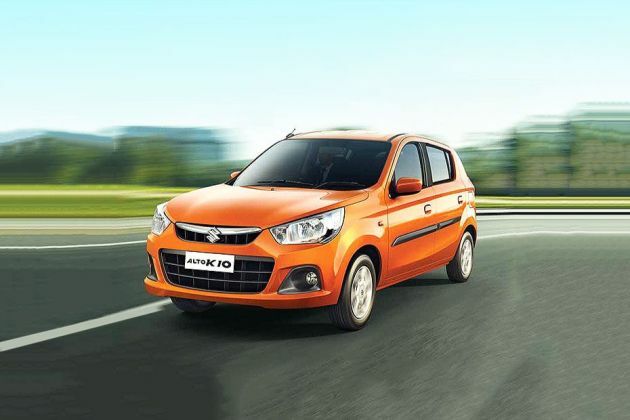 The Maruti Suzuki Alto K10 is offered with an AMT (automated manual transmission) unit in two trim levels - VXi AGS and VXi AGS (O). In both the variants, the AMT unit comes paired with a 1.0-litre, three-cylinder petrol engine that generates 68PS of power and 90Nm of torque. The setup returns an impressive fuel-efficiency figure of 24.07kmpl, which is exactly the same as its counterparts that come with a manual transmission. The automated manual transmission, or what Maruti Suzuki calls AGS (auto gear shift), has four modes in its configuration - reverse, neutral, drive and a sequential-type manual gearshift setup. The 155/65 section tyres in the Maruti Suzuki Alto K10 VXi AGS (O) come wrapped around 13-inch steel rims and set of full wheel covers. The hatchback is offered with 35 litres of fuel tank capacity, 160mm of ground clearance, 4.6 metres of minimum turning radius and 177 litres of boot space. When compared to the VXi (O) MT (manual transmission), the VXi AGS (O) misses out on two cup holders in the front, keyless entry and front fog lamps. However, when compared to the LXi variant, the VXi AGS (O) additionally gets an audio system with two speakers, roof mounted antenna, central door locking, front power windows, key off reminder, headlamp on warning, left hand side ORVM, digital clock and rear parcel tray. మారుతి ఆల్టో కె 5 వేర్వేరు రంగులలో అందుబాటులో ఉంది - Silky silver, Tango Orange, Granite Grey, Fire Brick Red, Superior white.